The Pointe at Morris is a premier assisted living community located in beautiful Morris, Illinois. We are proud to be serving the communities of Grundy County and surrounding areas. Life at The Pointe at Morris is the beginning of a beautiful new chapter, full of friendships, activities and a way of life created to enrich the lives of others. Residents are welcomed and encouraged to be a part of our social activities and live the luxurious life they deserve, without the obligation to keep up with chores or burdensome household tasks. While the focus at The Pointe at Morris is for seniors to live relatively independently, we do offer a range of care services that can enhance the quality of life and improve a senior’s health and safety. The specific services do vary among communities, but there are some standard care options that you’ll be able to choose from. 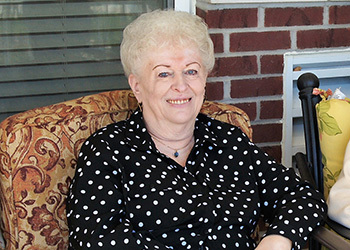 Our assisted living community is conveniently located near restaurants, parks, shopping, hospitals, churches and more with transportation and assistance available to make every day a day with endless possibilities. To learn more about The Pointe at Morris, contact us today!